Motorists should expect intermittent stops this week near Exit 103. Motorists traveling the Maine Turnpike in West Gardiner this week can expect some slow downs and some intermittent stops by Maine State Troopers because of road construction. The Maine Turnpike Authority says north and southbound lane closures will occur 6 a.m. to 5 p.m. Monday through Friday at mile marker 103 — near the toll booth in Gardiner — for bridge work. Wednesday through Friday, the speed limit will be reduced to 60 around mile marker 99 for road construction, and northbound and southbound lane closures are expected from 6:30 a.m. to 6 p.m, according to a press release from Kristen Kloth, manager of the Traffic Management and Communications Center for the Turnpike Authority. There will be intermittent police-assisted traffic stops of up to five minutes from 6 to 10 p.m. on Thursday at mile marker 101, and again on Saturday and Oct. 13 at mile marker 103 for bridge work. Motorists should expect stopped traffic in the area. 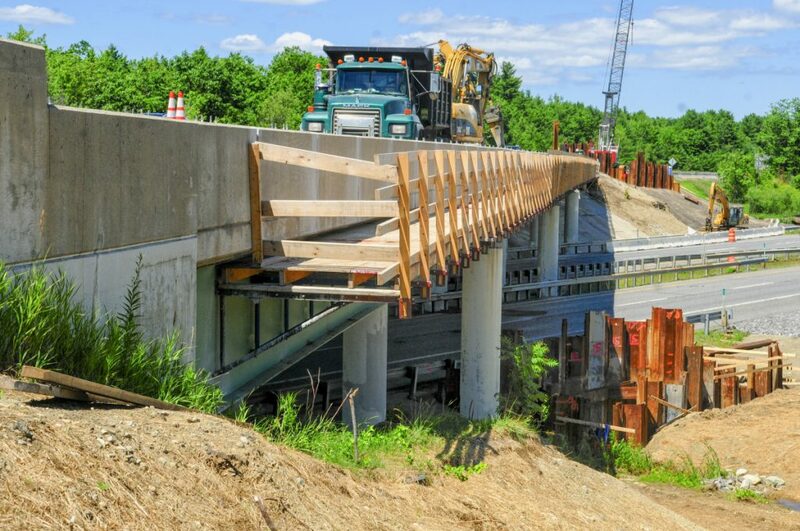 The work is part of a $6.8 million contract awarded by the Maine Turnpike Authority to Wyman & Simpson, Inc., to re-deck, raise and widen a bridge that carries the Exit 103 southbound traffic over the turnpike to the toll booth. Work began earlier this year and the entire project is expected to wrap up by November 2019. About 8.7 million vehicles travel annually between Interstate 295 and the Maine Turnpike at that location, accounting for more than $8 million in annual revenue, according to the Maine Turnpike Authority’s 2017 Annual Report of Operation and Maintenance. The York toll plaza, in southern Maine, is the only one to get more traffic, with 15.1 million vehicles traveling through there, according to the same report.